Mercato Naples: Two recruits with Ancelotti? 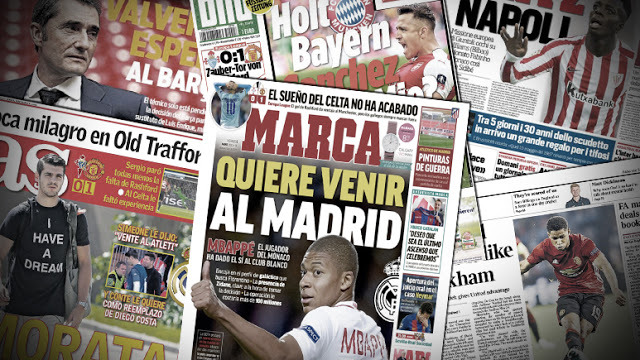 Bartomeu: "Griezmann, we'll talk in July"
SSC Napoli should formalize the signing of Carlo Ancelotti as a new coach once Maurizio Sarri has found a way out the club. But the arrival of the former coach of Paris Saint-Germain, Chelsea or Real Madrid seems acquired, the Gazzetta Dello Sport evoking an agreement for two seasons, and an additional option, up to 6.5 M € per year. To add to that, two recruits could well land in the suitcases of the "Mister". Indeed, Carlo Ancelotti would like to be able to bring at the foot of Vesuvius the Spanish striker of AC Milan, Suso, and the versatile midfielder of Bayern Munich, Arturo Vidal. 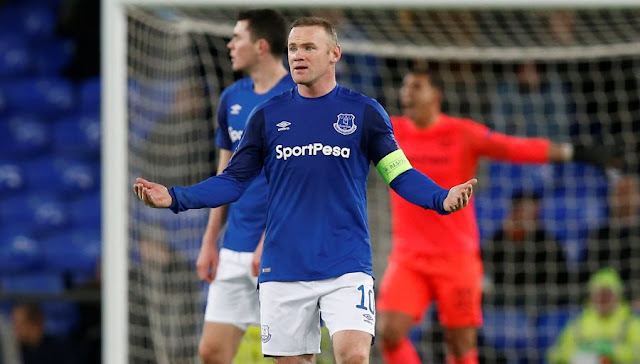 At only 32 years old, Wayne Rooney is preparing to draw a line on the very high level ... Income there is only a year in his training club, having suffered in his last two seasons at Manchester United, the striker English should leave Everton during the summer. According to Sky Sports, the talks with DC United have advanced in recent days, so much so that the Toffee and his agent will leave Thursday for Washington to spend 48 hours on the other side of the Atlantic. All fees are therefore green for the five-time Premier League winner to join Zlatan Ibrahimovic, Sebastian Giovinco, Ashley Cole or David Villa in Major League Soccer. Arsenal found Arsène Wenger's successor. This is Unai Emery, the former coach of PSG, who committed on Wednesday. The Basque technician was able to convince the leaders of the London club, with his record and his determination. Arenal coach Arenal, Unai Emery, is already thinking about bringing Ligue 1 players to the Gunners. 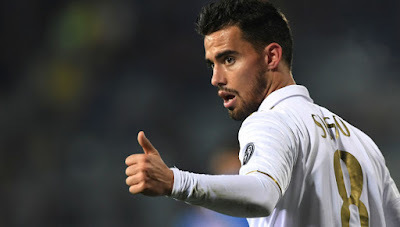 The Basque technician does not necessarily have views on one of his former players PSG, but rather on the Nice Jean-Michael Seri, according to the Daily Mail. The Ivorian midfielder has a release clause set at 40 million euros, but, unlike last year, the leaders of the Riviera offered him a certificate. Barça is active on the Griezmann record but remains suspicious. 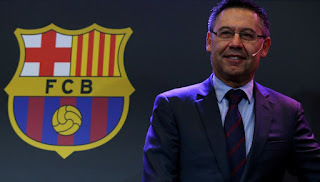 Interviewed on Catalunya Radio on Tuesday 22 May, Barcelona President Josep Bartomeu said he did not want to reignite tensions with Atletico Madrid, saying: "We have the maximum respect for the players playing in the other clubs". On the issue of the transfer of Antoine Griezmann, Bartomeu remained quite evasive: "We are currently working on the file but I can not tell you more. We have time until July 1 and we know how to act." Although he did not reveal the progress of the file, the President blaugrana did not hide his attraction for French. "Every president wants the best players in the world in his club, but that is impossible and Barça already has very great players we have seen this season," he said. Meanwhile, the information is contradictory because the French would have confirmed to his teammates his choice to stay at Atlético.